NOW Plant Enzymes is a comprehensive blend of enzymes that helps to support proper digestion and is specially formulated for a vegetarian diet. 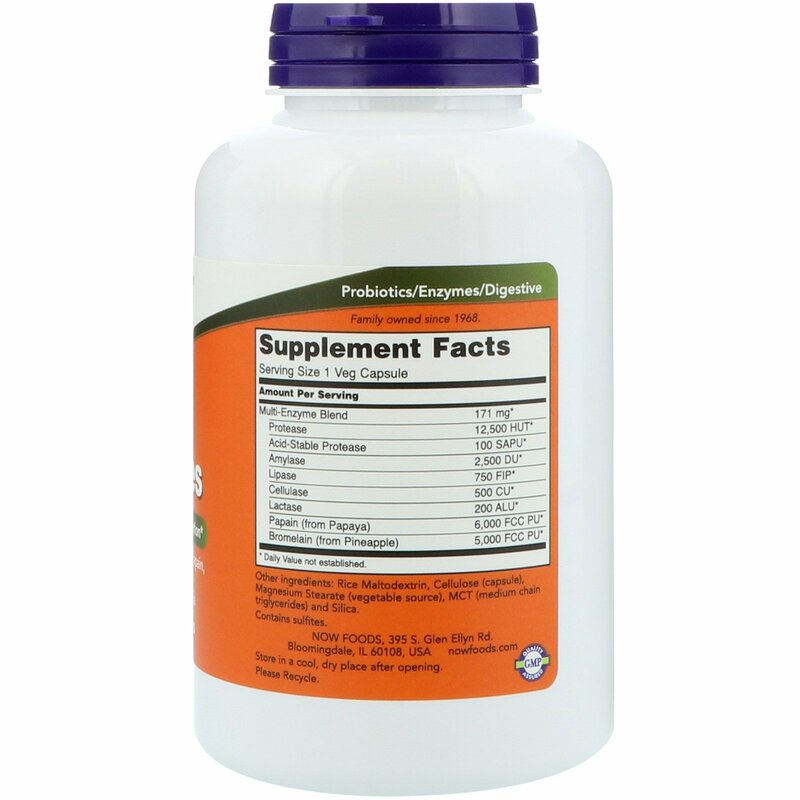 This product's combination of enzymes assists in the breakdown of fats, fiber, proteins, and carbohydrates, thus optimizing the availability of nutrients in the food you eat. 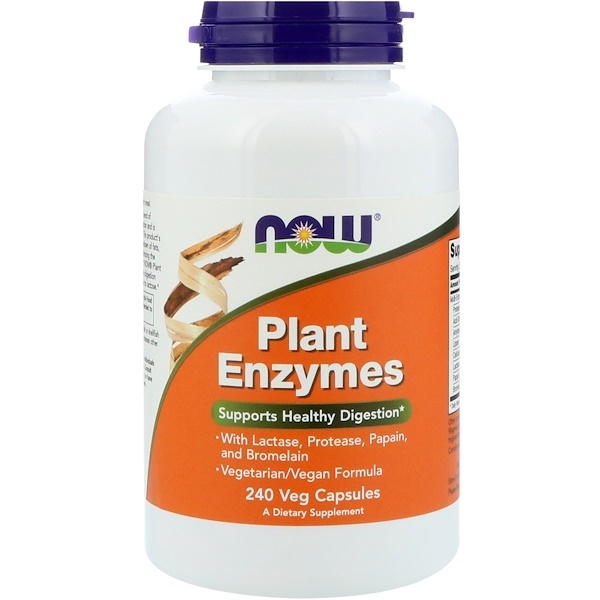 NOW Plant Enzymes also includes lactase to support the digestion of dairy products for those who are sensitive to lactose. 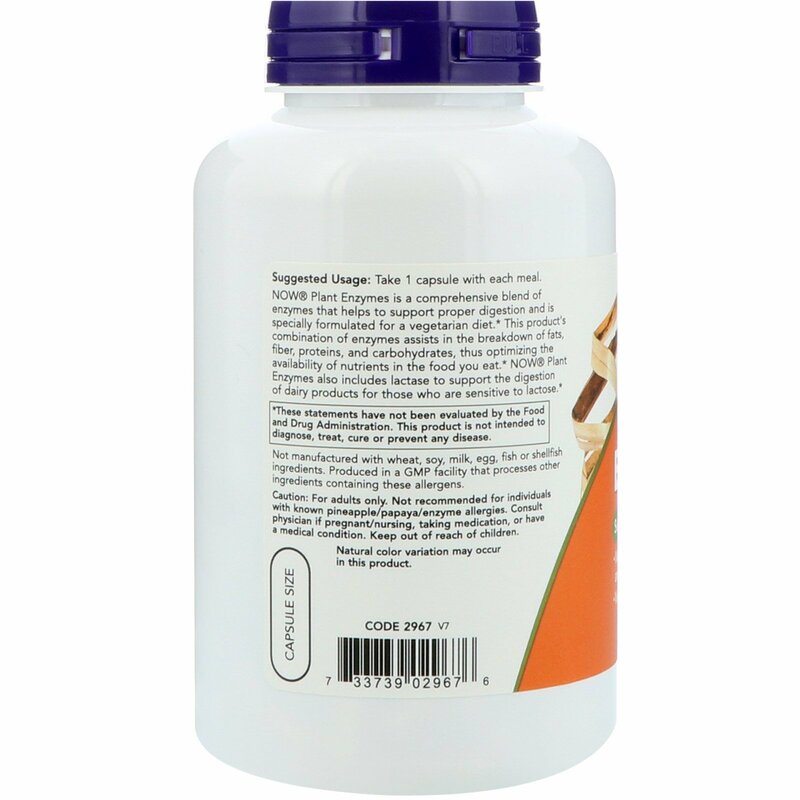 Rice maltodextrin, cellulose (capsule), magnesium stearate (vegetable source), mct (medium chain triglycerides) and silica. Caution: For adults only. Not recommended for individuals with known pineapple/papaya/enzyme allergies. Consult physician if pregnant/nursing, taking medication, or have a medical condition. Keep out of reach of children.